This is an easy Chinese recipe is very flavorful. Served on white rice this 3 Cup Chicken is stewed for about an hour to produce a fast and easy dinner. This is an authentic recipe from Thailand for Barbecued Thai chicken. This recipe is typically served with sticky rice. In this recipe from Thailand, I will show how to make this dish step by step. This one of the best recipes from Thailand I have tried, and it’s easy to grill. This is the recipe for a Cajun mixed grill. Served on a bed of red beans and rice. This sweet and spicy sauce placed on Cajun pork chops, gulf shrimp , and a chicken breast. The Bald Chef will show you step by step how to make the New Orleans inspired Cajun carnivore’s delight. Looking for a recipe to make a big bang for you next dinner party give this winner, winner Cajun dinner a try! This is the recipe for Argentinean skirt steak with Chimichurri sauce. This South American meal is easy to grill and make. I will show the step by step way to make authentic Argentinean barbecued skirt steak. 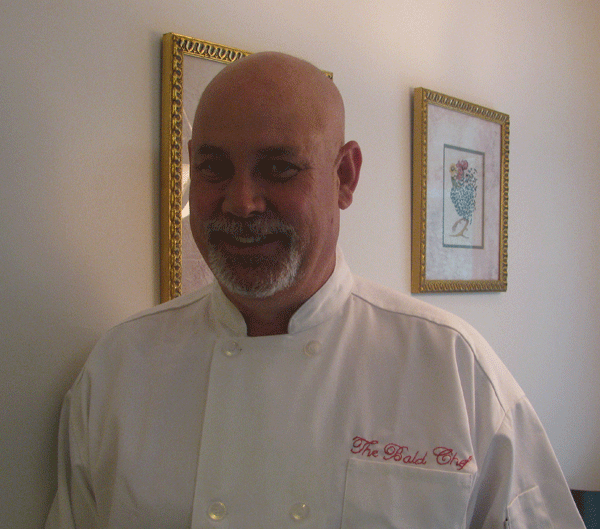 Chilean Sea Bass recipe by the Bald Chef. This is the recipe to take this white meat Chilean Sea Bass and grill it over live Hickory and charcoal. This tender fish recipe is plated with a avocado watermelon salsa, that truly accentuates the taste of this grilled fish. This is the recipe for the California surf and turf burrito, sometimes referred to as the San Diego burrito. This burrito is a California classic, and is quite popular.